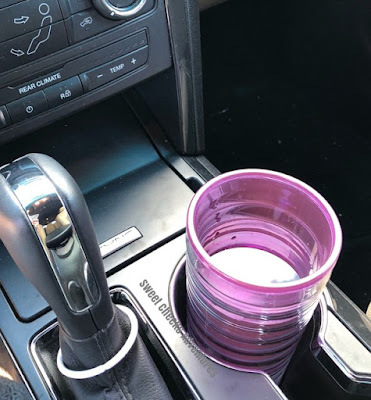 Sweet Cheeks Adventures: Tervis Tumblers for Everyone! Tervis has sponsored this post. All opinions are my own. I am 50% of a Rivalry house. Every football season my husband turns into this monster who is a Kansas University fan. I was raise on Kansas State football, so when the Sunflower Showdown is being played, Jason and I have a hard time sitting in the same room. So, this Christmas season.... Jason needs to feel extra loved since I am sharing this cute Tervis Water Bottle with him! Don't worry, I got something in purple for myself as well! Tervis makes the best Christmas gifts! Cups, water bottles, tumblers, all the different designs.. You really can't go wrong here. They have NFL, Harry Potter, Disney, Outdoor designs and so many more. The cups are top notch quality and I have fallen in love with the 16 ounce Tumbler. My new purple cup goes just about anywhere! It keeps my drink cool a lot longer than most cups and its pretty! The kids think I'm a little crazy to take it in the car, but this mom is a little crazy and doesn't care! Matter of fact, I was Girl Scout camping this past weekend and my tumbler went with me. It survived the wilderness and I stayed hydrated! 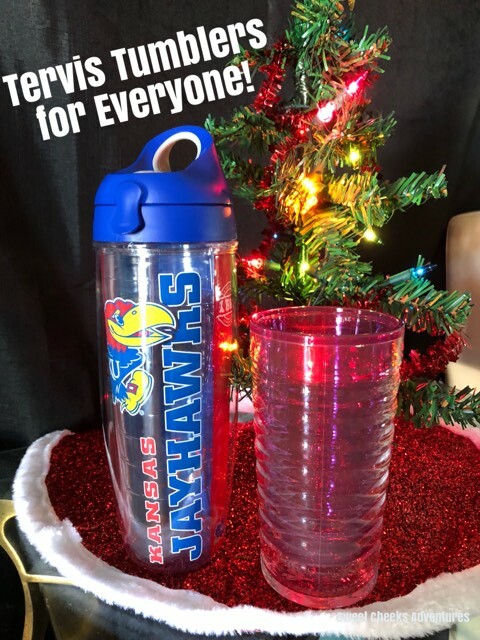 Tervis tumblers and water bottles are the perfect gift for anyone you're gifting to this year! They wrap up nicely and will bring smiles on faces. You can fit most of these in a stocking or gift it in a box. Either way, gift it already! Sift through the Tervis site. There is a little something for everyone! Winner will receive a Tervis product of choice. Winner will be notified through email. Giveaway product will be shipped by company. Good Luck!